Each year the College of Arts and Sciences awards approximately 500 scholarships, totaling more than $1.5 million in support for undergraduate and graduate students. Are you eligible for any of this funding? Quite possibly. Find out by completing the University’s scholarship application, talking to an adviser, or visiting Scholly through the myBama portal on the “Admissions/Scholarships” tab. View a list of all scholarships offered by the College. View information about scholarships offered by the Leadership Board for the College of Arts and Sciences. The scholarships for which you might be eligible fall into three major categories: University-wide, College of Arts and Sciences, and departmental. University-wide scholarships, most of which are awarded by the Office of Undergraduate Admissions or the National Alumni Association, are open to all University of Alabama students, while only students enrolled in the College of Arts and Sciences may receive scholarships designated for A&S students. Departmental scholarships are typically awarded to students enrolled in specific major or minor programs. View a list of all College-wide and departmental scholarships. Each scholarship, whether University-wide, College, or departmental, has its own set of eligibility requirements and terms. Many are renewable, provided the student maintains his or her strong academic performance; others are limited to a single academic year. Some are granted to currently enrolled students, while others are intended for freshmen or transfer students. Scholarships may be merit- or need-based. The amount awarded varies, too, from $500 up to full tuition. In awarding College and departmental scholarships, the College of Arts and Sciences is guided by the wishes of the scholarship donor. In selecting students who meet the criteria established by the donor, we consider high school or college grades, college entrance exam scores, and the student’s accomplishments. To be considered for scholarships, students must complete the consolidated scholarship application every year. Incoming freshmen must submit the application by December 15, 2017, while current students must submit their applications by March 1, 2018. The application is available through myBama. If you’re applying for an A&S scholarship that requires special application materials such as a writing sample, audition, or portfolio, complete the myBama application first, then visit the A&S Student Services Center or the relevant academic department to find out how to submit your materials. Students who complete the application by the deadline will be considered for all scholarships for which they are eligible, except for those offered by the Air Force ROTC or Army ROTC programs and the College of Continuing Studies. If you have been admitted into a program such as the Blount Scholars Program or the Honors College, contact that program’s office for additional scholarship information.  Students receiving scholarships through the College of Arts and Sciences will be notified via an official letter from the Office of Undergraduate Admissions in March of each year. The UA scholarships office is the best source of information on University-level scholarships; visit scholarships.ua.edu or call (205) 348-8201. For information on College of Arts and Sciences and departmental scholarships, contact the A&S Student Services Center at (205) 348-5970 or student.services@as.ua.edu, or visit our offices in 200 Clark Hall. For information about financial aid, contact the UA Office of Financial Aid at (205) 348-6756. For information about costs, billing, and payment arrangements, contact the UA Office of Student Receivables at (205) 348-5350.